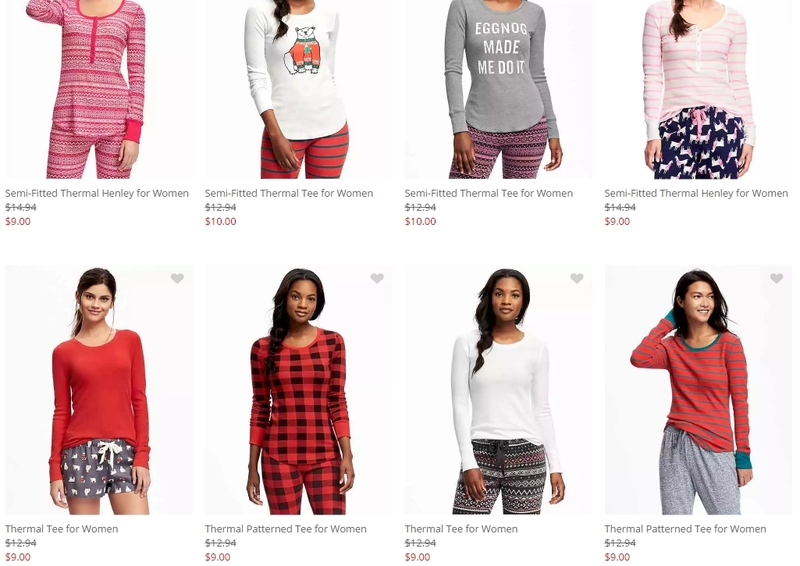 These pictures are all from Old Navy's site. While I'm not exceptionally picky about the color or pattern, I thought the fleece or micro fleece drawstring pants looked comfy (probably in a medium), and I want a simple, long-sleeved top without buttons (probably in a large). I've been wearing my old PJ pants for so many years that they're starting to disintegrate. And I've had a few favorite sweatshirts I wore with them, but they died this year as well. I'm down to one pair of PJ pants I usually wear with the last standing sweatshirt or the one-piece PJs I got last year for Christmas. They don't have to be from Old Navy, but this is where I found pictures of some of what I was imagining. I LOVE my pj bottoms. I tend to wear them most evenings after work. It's just such a great way to relax at home. I LIVE in my PJ bottoms. I stick them on ASAP. Mine are starting to fall apart as well. I just bought one new pair but they all need to be replaced.